Volunteer & Internship Opportunities at the Red Room! The Red Room is an ever-expanding community, exploring and extending the boundaries between audience and performer; a not-for-profit platform for events developing a culture of learning to listen to others, to what is around us, and to ourselves. 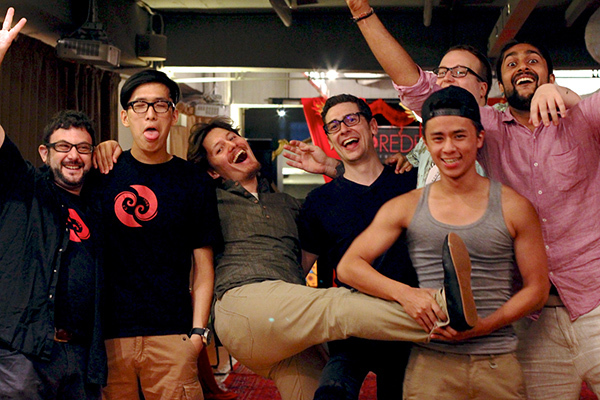 The Red Room is always on the lookout for motivated and energetic volunteers. As a multi-arts organization, the Red Room offers opportunities for volunteers to gain experience in nonprofit management and to help support a range of outstanding events. We offer opportunities for individuals with a wide range of commitment levels. For more detailed information, see the menus at the bottom of this page. Then, apply at the link below! Perhaps you need to volunteer for a school requirement. That’s OK! Or maybe you are not sure how much time you can commit to the Red Room at this time. That’s OK too! There are plenty of ways for short-term volunteers to help. Those activities include, promoting Red Room’s events via emails, calls, and flier/postcard distribution; ushering at events; helping clean and set up parts of the Red Room space; and other individual projects that arise from month to month. Perhaps you are familiar with the Red Room but would like to form a deeper relationship with the community. Maybe you can’t afford the cover fees but would like to give back the community in some way. Whatever your motivation, you want to be here a lot, and we want you too! Long-term volunteers will be helping on long term projects and helping us ensure the continuity of our regularly scheduled events. We’ll also need help with special events. Red Room also offers ongoing internships for college or graduate students and early- or mid-career professionals who are interested in gaining arts management experience. Internships are part-time and unpaid; they typically last for the equivalent of an academic quarter or semester. 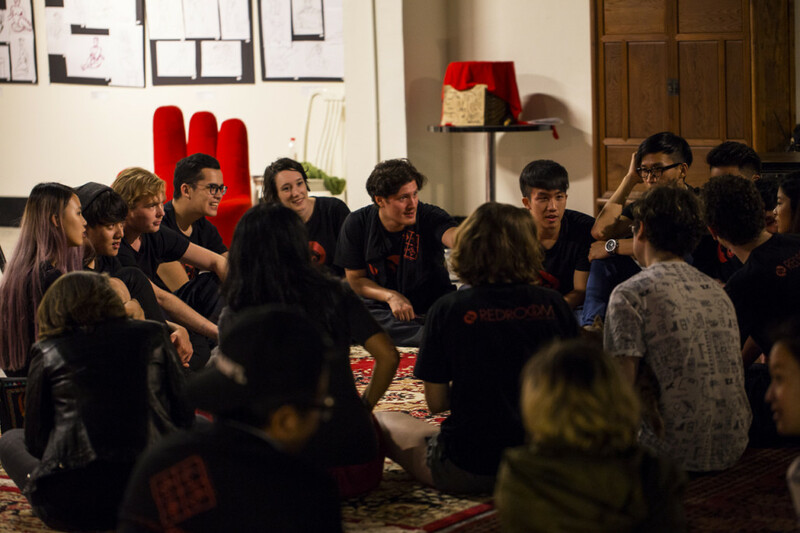 Interns have the opportunity to work in an informal but extremely active administrative environment and will witness an array of performances, rehearsals, and workshops at the Red Room. This intern works with the team to prepare and disseminate periodic press releases and listings e-blasts for Red Room events; helps field press requests and arrange press events as needed. The Publicity/Outreach intern should have excellent writing and communication skills. Interns will be expected to work about 10 hours per week. The media and website internship is ideal for individuals with relevant coursework in photography, videography, web development or web based graphic design. Both on-site and off-site internship opportunities are available. Responsibilities may include event photography, videography, web site maintenance and programming (this includes but is not limited to making ongoing revisions and uploading content to Red Room webpages, assisting in Red Room webpage redesigns, developing new webpages, assisting with other design and web projects as needed). Travel to event sites in Taipei may be necessary. Previous experience working with photo, video editing software, knowledge in html, experience using web and media analytics, experience using Photoshop, Illustrator, InDesign preferred but not required. Interns will be expected to work about 10 hours per week. This internship is for individuals interested in writing about Red Room events in Chinese and/or English. Applicants should be interested in writing and editing and be eager to develop synopsis of Red Room events. Responsibilities include listening to Red Room Radio Redux shows and writing up appealing summaries which people can read on the Red Room website and e-news blasts. Candidates should have an interest in the performing arts, a flair for writing, and a facility with the English and/or Chinese language. Interns will be expected to work about 10 hours per week. Internships will be based at the Red Room unless otherwise specified. Internships are unpaid. Red Room will work with interns to comply with the requirements of internship-for-credit program at their institution. Interns will learn first-hand how a non-profit organization, as well as be exposed to various events within the Taipei community and have various networking opportunities with attendance members and performers. Interns will gain skills in non-profit management, event planning and public speaking. In addition to receiving experience and garnering recommendations from Red Room co-founders and/or event coordinators, interns have free admission to all Red Room events. Candidates must be able to assume significant responsibility and work independently. Excellent communication and organization skills are required. Proficiency in Microsoft Office programs required. Interest or experience in NGO or non-profit organization/management and event planning preferred but not required. Graduate students preferred but qualified undergraduates are welcome to apply. Database, Web/graphic design and foreign language skills (especially Chinese) preferred but not required. Interested applicants are strongly encouraged to email a cover letter and resume to [email protected], with the phrase “Red Room Intern” included in the subject header. In the cover letter, please indicate which internship position you are interested in assisting and describe why you want to be an intern at the Red Room. Applications for Fall, Spring and Summer positions accepted on a rolling basis. We encourage anyone interested in an internship to familiarize her- or himself with the Red Room’s programming and history before applying.